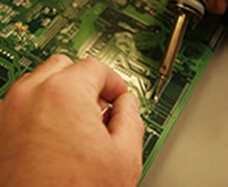 Board Bank Program at Hytec Dealer Services, Inc.
By establishing a circuit board bank with Hytec, you can store your inventory of boards at Hytec and have them repaired and shipped to your desired location. This service type works well for multi-branch service or manufacturer-direct field support operations. 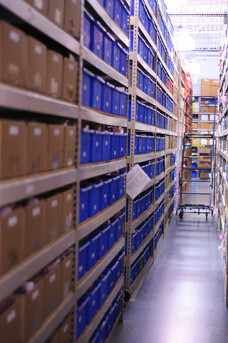 Hytec’s Board Bank program is Hytec's innovative inventory management service where we manage your circuit boards at our facility, repair, and ship them back to you as required. Hytec manages thousands of boards for office equipment dealerships at our facility in Orlando, FL, and our two warehouses in Canada. Dealerships today face an ongoing task of maintaining adequate inventory for a variety of equipment at the lowest carrying costs. With many new boards costing thousands of dollars, this task becomes an even more important part of their daily operations. Our customers utilize inventory by depositing and withdrawing boards as they are needed, while all the time reducing the costs of carrying non-moving inventory that eventually may become obsolete. The repaired board will be received with a reusable box that precisely fits that board, a prepaid RS shipping label, and tag for easy return to your board bank at Hytec. There is a small handling fee for this service, in addition to our flat-rate repair price. Please contact your Hytec customer service representative for detailed information and requirements for setting up your customized Hytec Board Bank today. Track boards by your branch ID, technician ID, part number, etc.